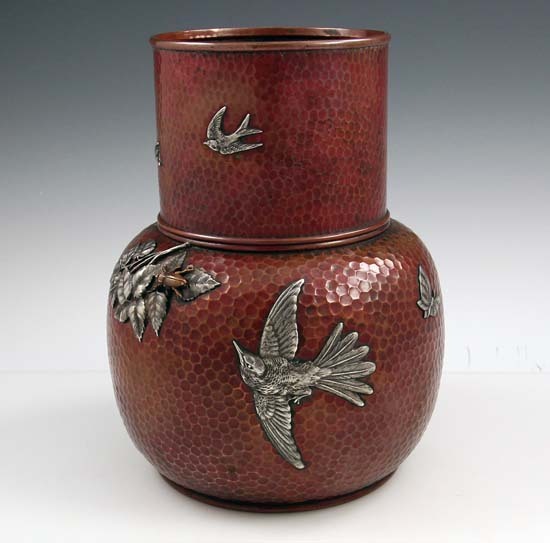 An impressive large hand hammered copper vase by Gorham with finely detailed silver applications depicting leaves, bug, swallow in flight, butterfly, crane, birds and flowers in the Japanese style. Height 7 3/4"; diameter at neck 3 3/4". Good condition and patina.